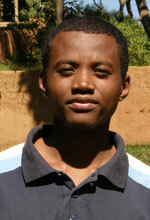 I am Rado, I am 25 and I am from Fianarantsoa in the South of Tana. I am an English speaking tour guide and I also speak French. I have a good knowledge in the Madagascar’s wildlife, in the different tribe’s culture and traditions. I am dedicated to work as a tour guide and this is the reason why I studied Tourism and got certificated. I have trained to the National Park in the South of Madagascar during my study at the National Tourism University. This is my second year working as a tour guide, the Adventure tours to the National Parks in the South, in the North and in the West of Madagascar are my favorite places. I am also very keen in the canoeing trip and camping to make you taste our Malagasy cooking! I am a very good cook too. I wish you will come to appreciate our beautiful wildlife and places and have me as your personal tour guide.